Race organizers are implementing a queue-entry system to try alleviate last year's technical problems. 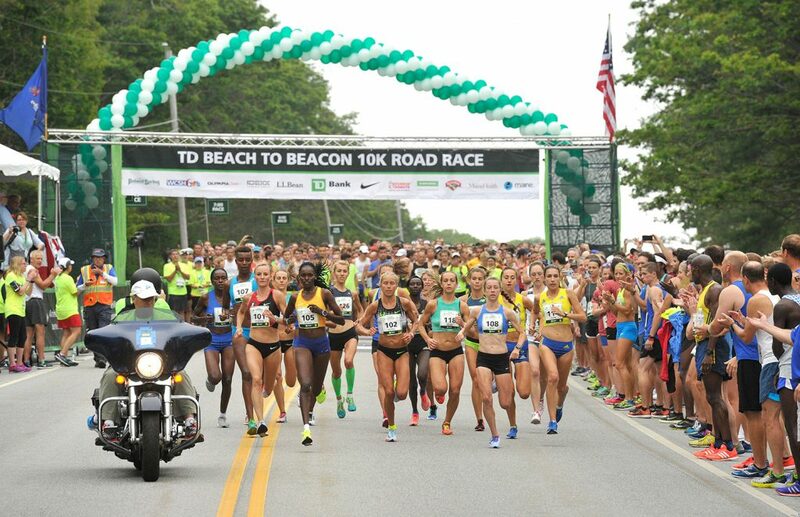 General registration for the 2018 TD Beach to Beacon 10K will take place on March 16, race organizers announced Friday. Four thousand race bibs will be available on a first-come, first-served basis starting at 7 a.m.
One day earlier, Cape Elizabeth residents will be able to register for 600 bibs, also starting at 7 a.m. This year, race organizers are implementing a queue-entry system to try alleviate technical problems that created frustration among registrants and would-be registrants last year. Registration took 10 minutes, 42 seconds to complete last year – nearly three times as long as in 2016. Many people were shut out of the process. This year, Beach to Beacon is partnering with Race Roster, a company specializing in online registration services. Once registrants enter the queue page, they will be able to enter the registration form based on their position in line. The process can take up to 20 minutes. Registrants are advised not to refresh the page, open multiple tabs or close the window, so as not to lose their spot in line. “While we are limited in our ability to increase the field size of the race, we wanted to find a way to make the registration process smoother and more efficient for all involved,” race founder Joan Benoit Samuelson said in a press release. The entry fee is $55 for the 21st running of the annual race, to be held on Aug. 4. A lottery for the 1,950 remaining bibs will take place from March 16-25.